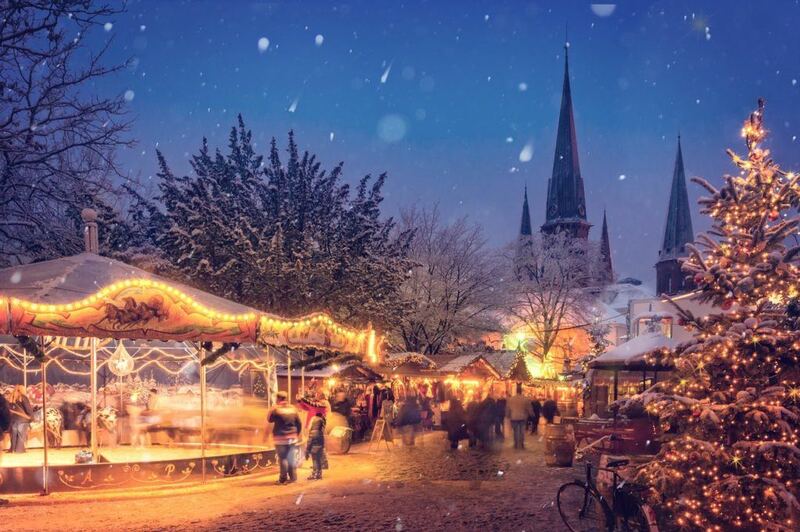 Germany in December is arguably the most festive country on the planet, with Christmas markets taking place all over the country, tuck into a delicious Bratwurst and wash it all down with a warm glass of mulled wine while you browse the stalls for relatives Christmas presents. Or set sail on one of our river cruises along the Danube or the Rhine rivers. Now where else to start then the capital city, Berlin a hugely interesting city with its rich history combined with a modern hip new way of living the city has adopted. With a number of landmarks as well as the Christmas markets scattered throughout the city you will have a lot on your plate when visiting Berlin in December. First up is for me the most iconic sight in Germany and that is the Brandenburg Gate, re-built nearly 250 years ago this historic monument is the perfect starting point for a day of sightseeing with the Reichstag nearby. Home to the German government this stunning building is free for the public to enter with a number of great views of the city from the top of the building and a hugely impressive glass dome. Next up on the number of aesthetically pleasing buildings is the Berlin Cathedral, The Victory Column and visit the presidents home the Bellevue Palace. If it is art you are looking for then Berlin is home to a number of amazing galleries however the East Side Gallery featuring 100 different paintings from different artists all with their own unique messages and art form. Now onto the main why people in their droves flock to Germany during the winter months, The German Christmas Markets in which you can find throughout the country no matter where you find yourself, in one of the smaller villages or the big cities you are sure to find a market in pretty much every square you come across. The bigger cities like Cologne, Hamburg and Munich all host huge markets which sell a host of different produce with beautiful Christmas decorations and live music which will go on into the night. Now onto an ever growing popular method of seeing this beautiful country by river, and in December you can experience an enchanting journey down the Rhine stopping off at a number of bustling Christmas markets and fairytale towns and villages on your way such as Frankfurt, Cologne and Nuremberg just to name a few. We have an amazing selection of cruises with huge savings off when you book with Low Cost Deals. December is the beginning of its peak season when the wet season finishes making this month the perfect time to go in search of the wildlife that call this beautiful country home. With temperatures in the mid 20s you can also enjoy the vast amount of beautiful beaches on offer, maybe even take up surfing in this surfers paradise. Costa Rica has been estimated to be one of the most popular holiday destinations in the world in 2019. This isn’t just because the country is a haven of luxury, eco-centric resorts and facilities, but also because it can provide visitors to the country with a unique insight into an established rainforest, filled with wildlife, access to glorious white sand beaches and compelling landscape features that make for fascinating day trips. Try surfing on Costa Rica’s east coast, or white river rafting. The waves along the coast are world class, which makes the rides appealing to professional surfers from all over the world. On the Guanacaste Coast, the surf is ideal for those just starting out and many of the Central America packages Aspen Travel books on behalf of its partner companies will provide water sports instructors to help you develop your skills. Those who’ve tried white water rafting will tell you that there’s no experience more exhilarating. As you make your way down the mountain waterways very fast, you’ll be at the mercy of your vessel (as well as your instructor.) It’s safe, but you’ll feel the adrenaline caused by your activity rush through your body. The food here has been influenced both by its Caribbean neighbours and its Spanish colonial history. Dishes you must try include Gallo Pinto; a very traditional recipe with rice and beans as its base, Casado, which offers the staple of a rice and beans base served with plantain and a tortilla, Tamale, made from dough and Chifrijo; a meaty dish that contains crispy pork. Great Rail Journeys offers Enchanting Costa Rica and Panama all-inclusive tour, which will take you to the volcanoes, the beaches and the rainforests, with a shopping experience in San José thrown in as well. All this, before moving onto Panama to witness for yourself the wonders of the Panama Canal. A two week Cox and Kings tour will incorporate a few days in Costa Rica as part of a wider tour of Central America and will see you travelling to Panama, Nicaragua, Guatemala and Antigua as well, view here. Collette’s tour of Tropical Costa Rica, deals exclusively with the country in question and provides you with 9 fun-packed days in which to thoroughly get to grips with the geography and gain an insight into the culture. The all-inclusive escorted tour packages will include your flights, accommodation, food and drink, as well as the entrance tickets to attractions and transfers. You’ll have a tour guide on hand to make sure you reach all your travel connections on time and reach your overnights. If you’d prefer to be more independent, however, but without having to go to the hassle of booking your own itinerary, you could opt for a self-drive holiday. This means you’ll be travelling only with the people you choose to go on holiday with, whether that’s your partner, friends or family and you’ll be driving yourself around in a hire car that will be arranged on your behalf. Your itinerary will be provided on arrival and your overnights pre-booked. It’s up to you the route you choose to get to them and how long you stay at each attraction along the way. If you’re travelling alone, over 50 and looking to make new friends with like-minded interests and a love of exploring the world, Saga will take you on a tour of Costa Rica that could potentially change your life, particularly if you’re not sure if solo travel is for you. There won’t be a single supplement and your tour guide will double up as a host to ensure that everyone on your trip feels welcome and included. You could be discovering the rainforests this month, but planning your next move to another part of the world while you’re there! 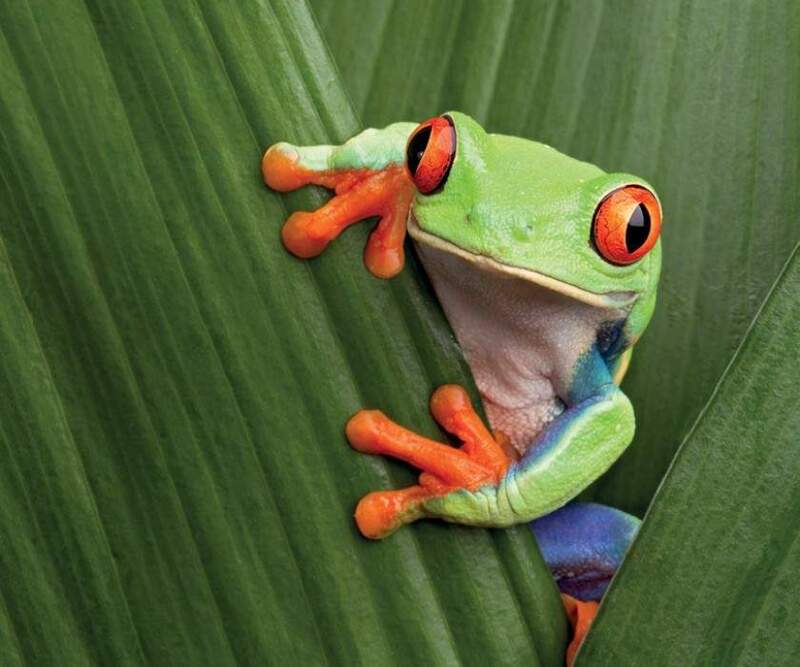 If you’re keen to find out more about the 2019 buzz surrounding Costa Rica, please get in touch with our team of friendly travel advisors here at Lowcostdeals. We’ll happily guide you through the many different holiday packages we offer with a view to finding the most appropriate one to suit your budget and travel preferences.